Back in August 2012, when owner Matteo Bruno opened his first Meatball & Wine Bar on Flinders Lane around the corner from his own apartment, it was ostensibly to provide himself with a relaxed joint to eat comfort food in stylish surrounds. He never expected to be opening a third venue before two years was out. Indeed, a few of his mates thought he was nuts. "It was a bit of a punt," he admits. "A lot of people said to me it wouldn't work." This month he'll open the first Northside outpost of Meatball & Wine Bar on Smith Street (in the spot that formerly housed Josie Bones), following on from the second site on Richmond's Swan Street. While it will share its siblings' pared back, exposed brick wall minimalism, there will be a slightly more relaxed vibe with a renewed focus on the drinking side of things. There are already plans afoot for a southside venue in Windsor as well as interstate jaunts, too. Bruno certainly has balls. "It's not just a gimmick, because they can come and go very quickly," he says. "We have to have incredible service, amazing food and drink and mix it up with four new recipes a week, so you're constantly revising the specials menu." With the menu already thoroughly tongue in cheek, asking you to choose your type of balls, sauce and something for them to sit on, there's an irreverent sense of humour to The Meatball & Wine Bar that's led to each venue garnering its own nickname: SmithBalls, CityBalls and RichBalls. 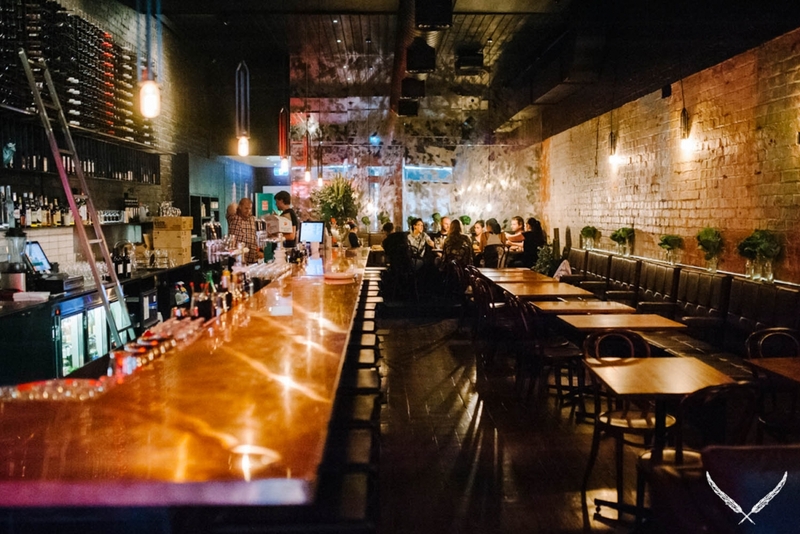 Bruno sensed Melbourne's shift in taste towards slightly more relaxed nights with mates and moving away from fine dining, but still with a hankering for quality at the right price. Black Angus beef is sourced from O'Connor in Gippsland, with the Black Berkshire pork sourced from Byron Bay, and line-caught fish. Something of an accidental restaurateur, Bruno's day job is as a film and TV producer, with his office based in Fitzroy (hence Smith Street's suitability). Travelling regularly for work, it was while on a trip to Italy, where his mum and dad both originally hail from, that he stumbled upon a two-week festival devoted entirely to radicchio de Treviso, essentially a type of lettuce. "This whole town gets together, basically 600 mamas cooking for two weeks straight every incarnation of dish that might include this singular ingredient," Bruno says. "It's incredible. The neighbouring town will have a festival devoted to one type of bean and then another will do something with a particular style of salami." Bruno's family owns cattle farms in Northern Italy, Southern France and also in WA, so he knows a thing or two about meat. He also drew inspiration from similarly focused offerings in the US, particularly New York, where joints can specialise in pumping out quality goodies like hot dogs, Reuben sandwiches or milk shakes. The 'Wine' part of The Meatball & Wine Bar is as vital to Bruno as the balls themselves, and is specifically chosen to complement them as well as the delicious cured meats and cheeses. He sources many varietals from Northern Italy, as well as drawing on local producers. "I'm influenced by the Piedmont region and from Venice, where my parents are from," he says. "The wine is just as important as the meatballs; they work hand in hand." With a successful and growing empire under his belt, like any good Italian boy, Bruno knows there's only one real judge of his abilities, and that's the women of the family. "I invited my mum over from WA when I was creating the recipes," he reveals. "She said 'do it all traditional,' and I said, 'na, na, trust me, I'll do it my way.' I invited her back recently and she tried the balls at Richmond and absolutely loved them." The final challenge is, of course, nonna. "I'm going to see my grandma for her 90th birthday in Italy this year and I'll see if I can smuggle in some meatballs," Bruno says. "If she approves then I've made it."